AdventureVet is a non-profit organization that delivers Outdoor/Adventure activities, Motorcycle & Recreational Therapy, Vocational Training and additional life changing, life saving holistic wellness programs specifically developed to assist wounded and amputee combat veterans with their needs and the issues they deal with on a daily basis. Helping our fellow veterans through outreach, action, activities, education and follow-up is what drives our organization. ​AdventureVet is a 501(c)(3) EIN 82-4746996. Your contributions are Tax Deductible. AdventureVet (ADV) brings male and female veterans from all branches of service and from all over the United States to Moab, Utah. ADV is a place for veterans to reconnect with other veterans, participate in the many activities we have to offer, engage in peer to peer discussions and vocational training, explore the vast wilderness and national parks, and relax and experience physical and mental healing in these serene, beautiful, unique surroundings. Motorcycle & Recreational Therapy. 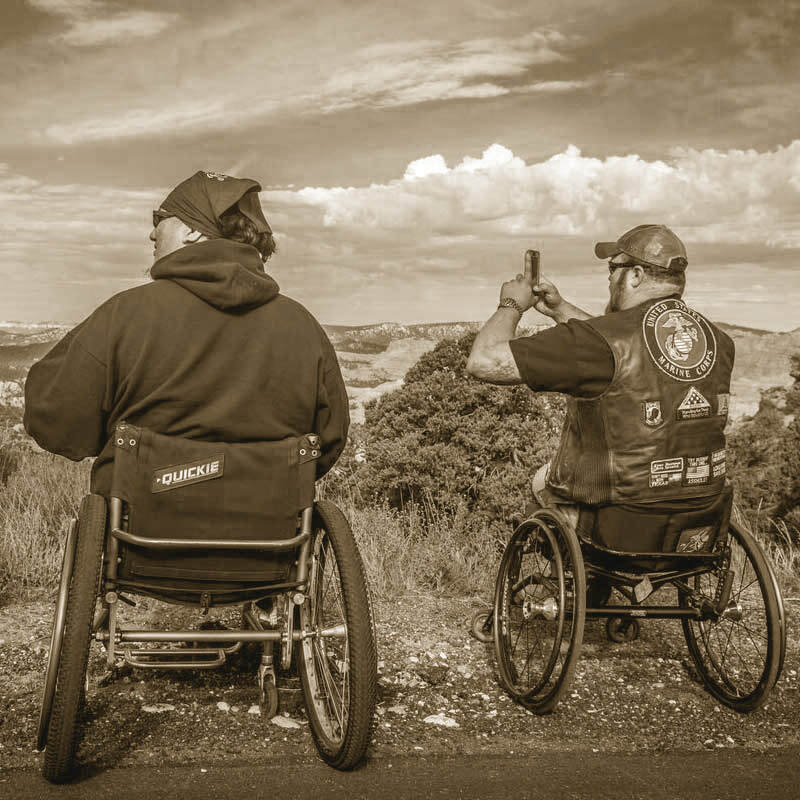 We provide veterans with street and dual purpose motorcycles (modified when needed), trikes and sidecars specifically designed for amputees and paraplegics for Motorcycle Therapy excursions. Additionally we provide UTV/ATVs (side by side and all terrain vehicles) for off-road excursions. Veteran Health and Wellness Program. WELL VET is a healthy nutritious diet plan (tailored to the veterans individual needs), combined with physical therapy, exercise and twice daily Kaqun oxygen water therapy treatments for the alleviation of stress, physical pain, and to get the body and mind back into a healthy condition. Certified health and wellness coaches work directly with our veterans on a daily basis for the first 5 weeks, continuing weekly and monthly for as long as needed. Veteran Motorcycle Donation Program. Industry Partners and the general public donate new and used motorcycles and ATVs to ADV and receive a tax deduction. ADV refurbishes and modifies (when needed) the motorcycles/atvs/vehicles and gifts them to deserving veterans and/or puts them into our service fleet. Moab, Utah, Lodging facilities. 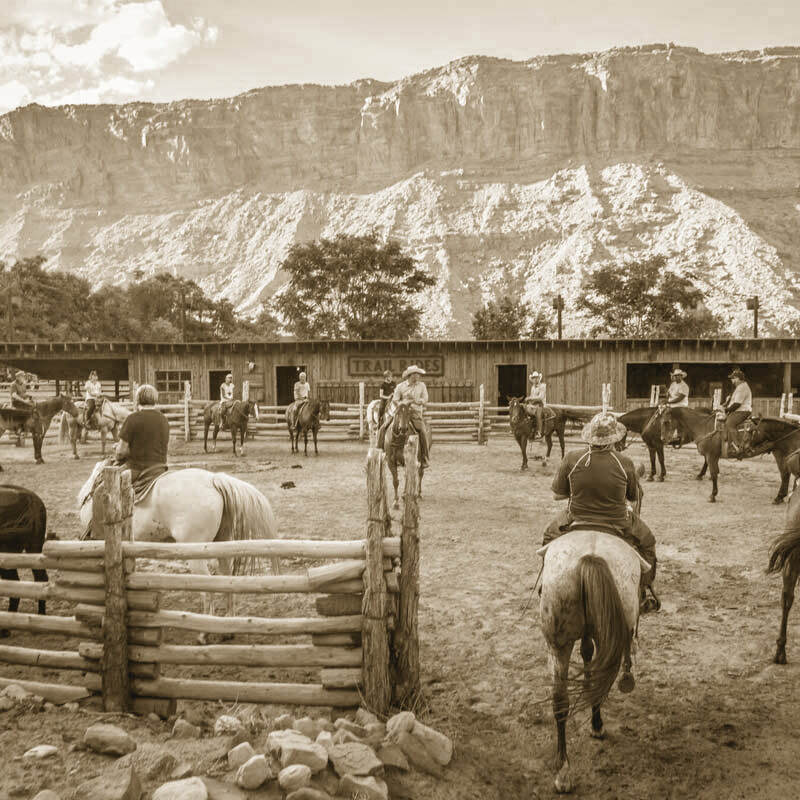 Our lodging partner, Red Cliffs Adventure Lodge (www.redcliffslodge.com) is located on the banks of the Colorado River and is one of the premier accommodations in Moab. The surrounding area with several National and State Parks has much to offer with an abundance of dedicated and protected off-road vehicle areas, adventure activities and events in which our veterans can participate. 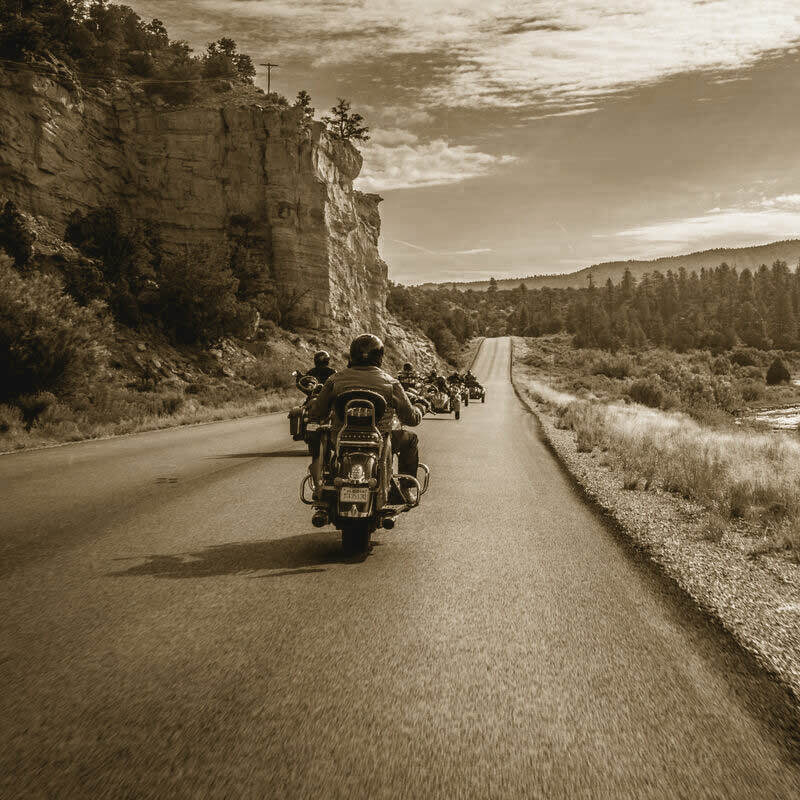 AdventureVet evolved from our Veterans Charity Ride to Sturgis program created in 2014 (www.veteranscharityride.org). The original ride and program was conceived and developed by veteran Army Airborne Paratrooper, Dave Frey. Dave came up with the concept of a ride which would include the therapeutic effects of riding a motorcycle aka, ‘Motorcycle Therapy’ and create an adventure of a lifetime for wounded veterans. Dave and his film partner, Robert 'Bob' Manciero, Emmy award winning director filmed the ride and program so the message could be shared with as many veterans as possible. See our impactful videos HERE.